Amazing single featuring a special edit of (It’s Always) Boomtime Part 1 from the accompanying Vs. Reality LP and a single edit of The Unstoppable Kite. They Came From The Stars made an epically fun and entertaining video on a shoestring budget and in 24 hours. It features: music, dancing, glitter, The Gay Masters, hula hooping, the Tate Modern gallery, a flying band, me, a helicopter, and Kevin Rowland of Dexy’s Midnight Runners. MTV predictably didn’t get it. We hope you do. 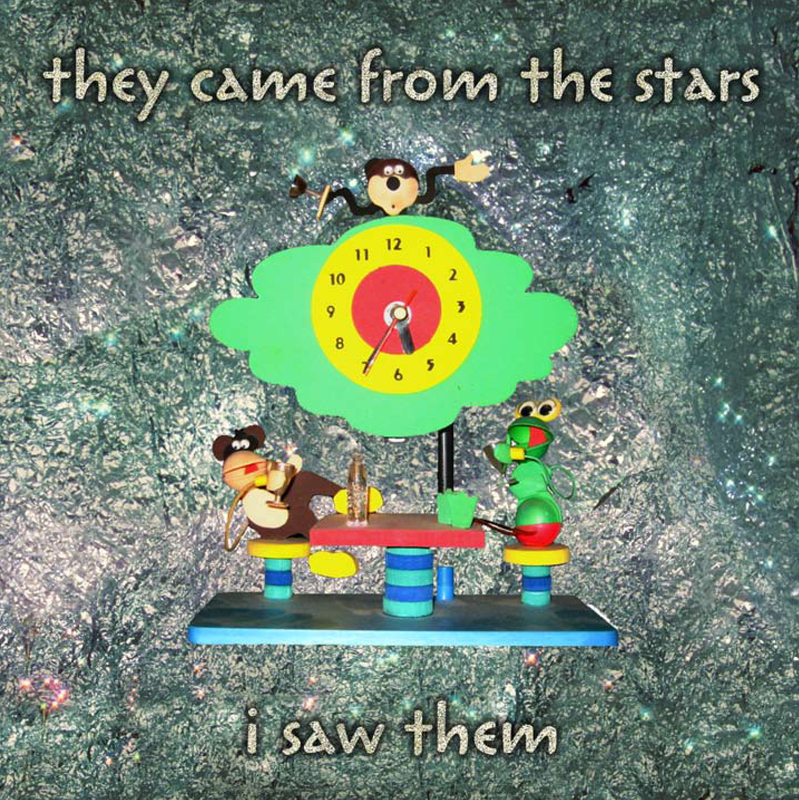 The a-side, a track from the album ‘They Came From The Stars, I Saw Them Vs. Reality’ was recorded more than 5 years ago by a completely different group than the one that is wowing live audiences right now with songs such as the one on the aa side of this great 7″ single – the extended version of ‘The Unstoppable Kite’ was released earlier in the year on This Is Not An Exit records, who will be releasing Emperor Machine mixes of their next single shortly, followed by a new, new album at the start of the new year. ‘(It’s Always) Boomtime, Part One’ is also the first song from the Stars to be accompanied by a pop video – and this is no ordinary pop video, either – made on almost no budget save for that of infinite good will, and featuring They Came From The Stars, I Saw Them’s battle with their nemeses – The Reality – the video includes a custard pie fight, a set made out of cardboard boxes, a helicopter, a champion hula-girl, and cameos from Autechre’s Sean Booth and none less than KEVIN ROWLAND! The extended version of the video features the group flying off into the sunset in a helicopter piloted by the Dexy’s frontman – one of pop music’s true individuals – in tribute to the way he has influenced and inspired this bunch of Wild-Hearted Outsiders in their mission to try and recreate the joyful sounds of They What Did Come From The Stars.